・Results of survey from last week! 1. What is your favorite VN genre? 2. Which of the following is most important to you in a VN? 3. Do you prefer a VN that is set in the real world or a fictional world? 4. 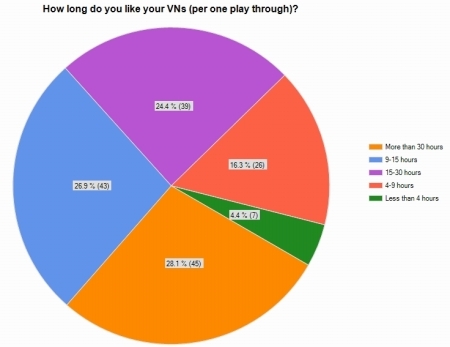 How long do you like your VNs (per one play through)? 5. 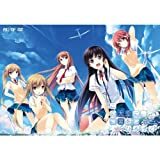 How much money are you willing to spend on a VN that fits your gaming preferences (such as genre, story, and game length)? If you want to post a comment in English, please copy this character [＠＠＠＠＠＠＠＠＠＠] into your comment to avoid being filtered as spam.